Millennium 7 Publishing Co.: Small Business Social Media Strategy? Small Business Social Media Strategy? How to get the most out of social media for your small business? There is no doubt we are in the age of social media. It is a step up from the age of information.. The age of social media can be described as less rigid, more comfortable and with very extensive reach. Its also very interactive, which means it provides an excellent source of consumer information and is a good place for businesses to increase their markets. Related Article: Main Street Small Business Social Media? 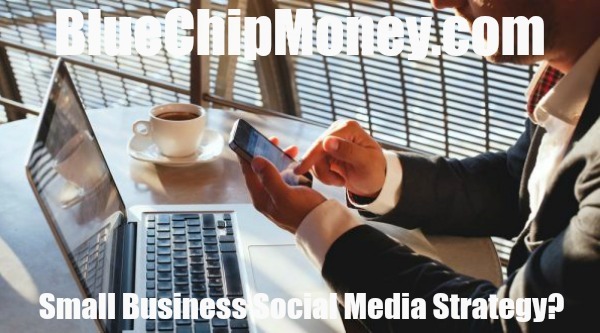 Entrepreneurs are getting the memo, with the number of business utilizing leading social media apps to increase sales growing exponentially. As a business development strategy, social media offers more flexibility, reach and precision when it comes to targeting your ideal client. If used correctly business owners stand to reap major benefits from these platforms. We'll look at the unique offerings and strategies various social media platforms provide, and how a business can utilize them for maximum gain. This is by no means an exhaustive list; the aim is to challenge entrepreneurs to make even better use of popular social media platforms. Facebook, which has billions of regular users, is a very good place to start. Aside from the regular ads we see on timelines, Facebook allows you to tailor your ads to reach a specific type of client. One of the ways it does this is through custom audiences. How this works is that from a list of visitors to your website, you, as a business owner, can create custom Facebook audiences based on criteria - like age, location, gender - that you provide. These parameters are measured for you by a piece of code that Facebook provides, called Pixel, which you can add to your website. In a nutshell, Facebook looks at your customers, finds the common elements they have, and then cross-matches these to provide you with a prime audience for your advertising. Related Article: Entrepreneur Social Media Secrets? By reaching the people most likely to buy what you're selling, your business is better placed to get more conversions. The costs vary depending on how many people you want to reach and the period you want the ads to run. The minimum cost is $1 a day. Armed with the knowledge of how small users' concentration spans have become, Facebook has set up Facebook Shops. This is a section of your business' page where a potential customer can learn about your products, view pictures and click a "buy" button to make a purchase, without having to move around several different tabs and platforms. This is a piece of code that Facebook provides for businesses to add onto their websites to capture information about the traffic. It is free if you've already signed up for Facebook Ads. It provides the site owner with deep insights into who a client is behaviorally, thus giving a business owner the opportunity to make compelling and targeted calls to action that lead to sales. It means you don't have to work blind, rolling out campaigns or offering discounts that your customer profile does not appreciate. Guest Authored By George Kiongo. George is a Medical Doctor, Entrepreneur, Investor. Follow George on Twitter. Related Article: Blossom YOUR Business On Social Media?